Many parts of your home and roof can depreciate over time. Weakened flashing can cause severe damage to wood surrounding the chimney, walls, ceilings and attics. Flashing can be tattered or gusted up by the gusts of winds, as well as tear, crack, become loose or be eaten by animals. When you notice leaking around a chimney you should have a chimney professional like Speciality Roofing Repair inspect the problem area. Flashing the chimney can solve roof leak issues. Chimney flashing can be made of sheet metal, lead, and/or copper. It is a term that describes the combination of two essential parts. First, is “step flashing,” which consists of L-shaped pieces of sheet metal that are interlaced in with the shingles to avert rain from inflowing between the roof and the chimney. The second part is “counter flashing.” This layer is usually constructed of lead or copper and is rooted into the masonry and then suspends over the step flashing. Counter flashing prevents rain from getting behind the step flashing, consequently fastening the chimney. In the case of standing seam roofs, the step flashing will be built of the roofing material. 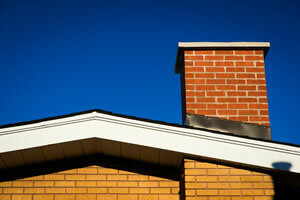 Leaks around chimney are one of the most common roof problems. Flashing is usually the reason. Flashing is the the sheet metal that keeps the joint between the chimney and roof sealed. The corners are especially susceptible. Specialty roofing will cut and bend the metal around the corner. Even in a excellent installation, one small spot can be left. This should be wrapped with a first-rate urethane caulk. This caulk can work itself slack over time. If the flashing seems to be in good state, re-caulking should take care of the issue. However, caulk is not a replacement for appropriately overlapped flashing materials. The type of metal used for flashing depends on where your home is located. Aluminum and galvanized steel are the usual choices in the South and Myrtle Beach. Copper is the oldest, but because it's luxurious, it is usually just used in high-end constructions. Another advantage to copper is that the corners can be fused for a waterproof assembly. The material must be layered properly to keep water out.. We install asphalt shingles over the casing to blend the cricket with the rest of the roof. Because chimneys are such a probable trouble spot, they should be inspected once every year or two for loose or absent flashing and cracks in the masonry. Small cracks can be sealed with caulk designed to restore masonry.